One year after its short war with Russia, Georgia on Tuesday (18 August) became the first country to withdraw from the grouping of former Soviet republics, in a sign of rebellion met with disdain from Moscow. The "Commonwealth of Independent States" (CIS) is a regional organisation, founded on 8 December 1991 by Russia, Belarus and Ukraine, when their leaders agreed on the dissolution of the Soviet Union and the creation of the CIS as a successor entity to the USSR. The organisation became open to all republics of the former USSR, as well as other nations. On 21 December 1991, the leaders of Armenia, Azerbaijan, Kazakhstan, Kyrgyzstan, Moldova, Turkmenistan, Tajikistan and Uzbekistan joined the CIS. Georgia joined two years later. The CIS was compared to the British Commonwealth and to the European Community. But in fact its role has been rather symbolic, and designed to heal the trauma of separation by promoting cooperation in trade, travel and security between the former Soviet republics. The official language of the CIS is Russian. During the 1992 Olympic games in Alberville and Barcelona, athletes from CIS members states competed as a team. Since then, the countries have competed under national flags. In the meantime, Ukraine, Moldova and Belarus have joined Georgia, Armenia and Azerbaijan in the EU's Eastern Partnership, designed to expand their political and economic ties with Europe. The Georgian foreign ministry said yesterday that all legal procedures related to the country's withdrawal from the Commonwealth of Independent States (CIS) have been finalized. "In August 2008, the Russian Federation, a member of the CIS, carried out a military aggression against another CIS member, Georgia, and occupied its territory. In this connection Georgia has made the decision to withdraw from the CIS," the Georgian Foreign Ministry said in a statement. Politically, the decision was already taken a year ago. On 18 August 2008, the Georgian Ministry of foreign affairs sent a note to the CIS Executive Committee notifying it of the Parliament's aforesaid decisions and the country’s withdrawal from the CIS. According to the body charter, termination of CIS membership takes effect 12 months after the receipt of a written notification. Therefore, the formal procedure of Georgia's withdrawal from the CIS was technically completed on 18 August 2009. At the same time, the Russian press announced that the president of Ukraine Viktor Yushchenko will not attend the CIS summit, due on 9 October in Chisinau, Moldova. The reports are based on sources from Kiev. Ukraine, although being one of the three founders of the CIS, never ratified its statute. But the speaker of the Ukrainian parliament, Vladimir Litvin, said he did not believe his country was bound to leave the CIS. “I don’t think Ukraine will leave the CIS, the parliament of Ukraine will not adopt such a decision,” said Litvin, quoted by Moscow Echo radio station. He added that such a move would end up in a “bigger political mess” and would hurt the interests of Ukrainians. Asked to comment if these developments were not a sign of the end of the CIS, a Russian political scientist answered that it was Georgia, not the CIS, who was ‘dying’. “Tbilissi’s decision to leave the organisation will only hurt Georgia, in fact, this country did not have a real participation in CIS affairs from a long time”, said Sergei Miheev, vice-president of the Centre for Political Technologies. Russian officials described the developments in a positive light. 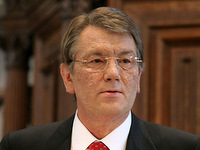 "Georgia entered the CIS as a Trojan horse, cooperating with (Ukrainian President Viktor) Yushchenko," said Konstantin Zatulin, a member of the Russian Duma and director of the Institute of CIS Countries, quoted by international media. "Both countries prevented the CIS from developing effectively," Zatulin added. "What we are seeing now is a run from Moscow," said Alexei Malashenko, an analyst with Carnegie Moscow Center. "Russia's allies are looking for alliances elsewhere to ease the heavy hand of Moscow," he said, quoted by Reuters. "The CIS was an attempt to turn a divorce deal into a new marriage contract. It failed," Malashenko added. The director of Western Armenian Studies center Haykazun Alvrstyan commented that Georgia's quitting the CIS will greatly harm Russia's interests in the region, the Armenian press reported. ”Georgian society does not seem to be against such decision, as no protest statements were made in that regard,” Alvrstyan noted. He added that Georgia always adhered to a pro-Western position, so quitting commonwealth will pave the country's way to NATO membership. Russian MP of the Russian parliament upper chamber Oleg Panteleev derided the decision of Georgia to leave the CIS. “The old lady is down from the carriage and the horse has now more power,” Panteleev said. He added that the presence of Georgia in CIS formats has been more than discrete. “At CIS meetings we did not meet any Georgian delegation, therefore we got accustomed to live without this country. As the matter of fact, since the “Rose revolution”, Georgia has completely ceased to be Russia’s ally, despite the fact that the CIS presumes such kind of union,” he added.